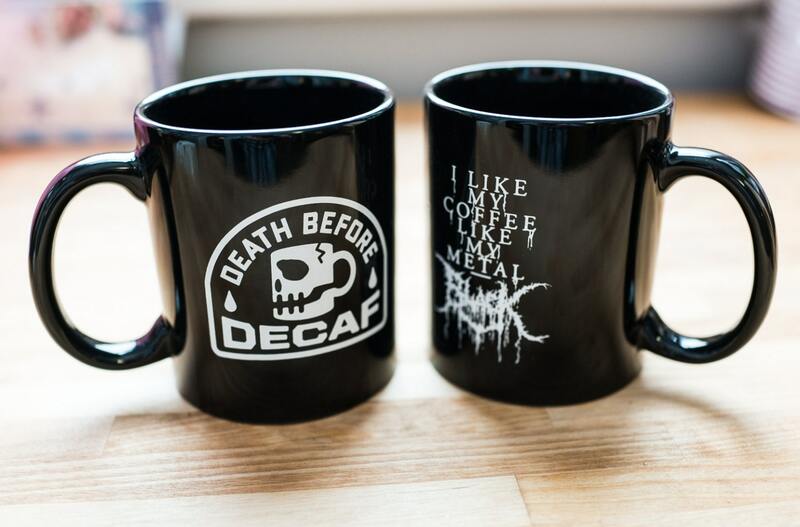 Two of the most brutal mugs ever created in ONE package. 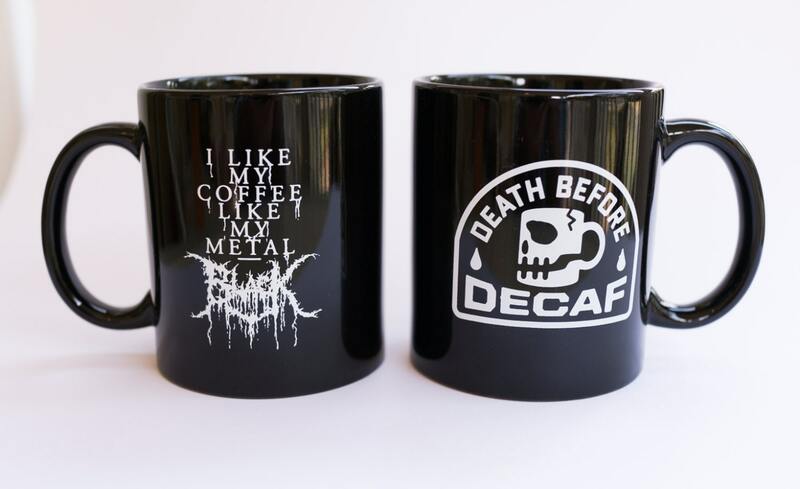 You get 1 "Black Metal Coffee" and 1 "Death Before Decaf" mug. These are standard issue 11 oz. 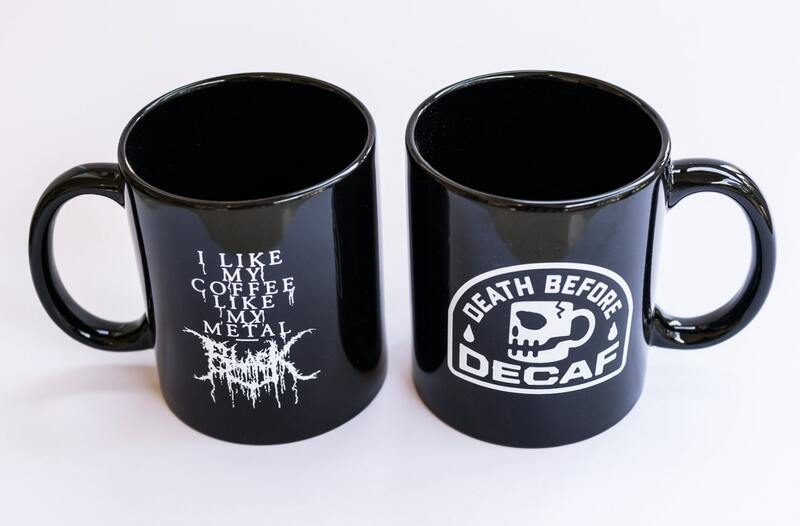 black ceramic mugs with white ink. 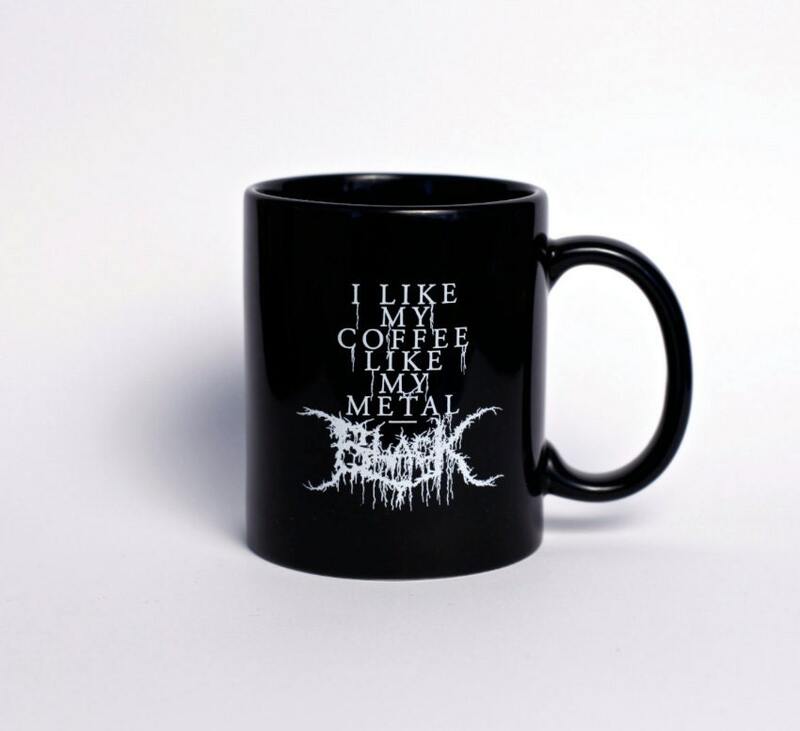 The print is on both sides of the coffee mug so no mater if you're left or right handed, the world will still see that you are truly BRVTAL. Ships in a super sturdy box with extra protection to keep these mugs safe. If you order with another item, they will be shipped separately to make sure all things arrive in tact. Bought the mugs on a whim and was far from disappointed! Not only did it ship fast, but was packaged awesomely and had awesome stickers to go with it. Best impulse buy yet! Lovely! Got this to replace a coworker's and he was beyond happy. Brian is a cool guy who threw in some stickers with this since I ended up breaking my old mug. 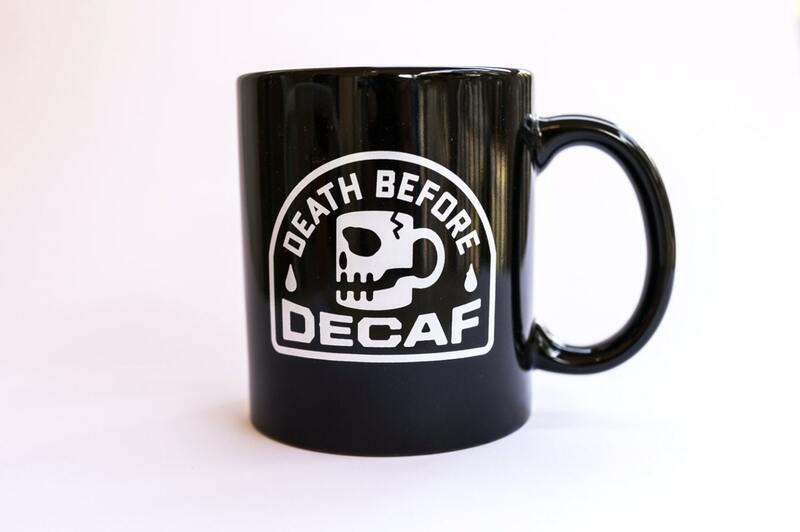 I liked it so much I ordered another and the Death before Decaf. We love our new mugs. Really great quality. They arrived so quickly. Thanks for all the stickers! Stay brutal!